A 100% free and clean DVD ripper fully compatible with Mac OS X (any OS above OS X 10.5). This best free DVD ripper for Mac OS X (10.11 and above) with elegant and intuitive interface is quite easy to use, and functions well in decrypting some common copy protections like DVD CSS, UOP, RCE, region code and Sony ARccOS, but has not been upgraded with the ability to rip Disney movie DVDs with X-project DRM. 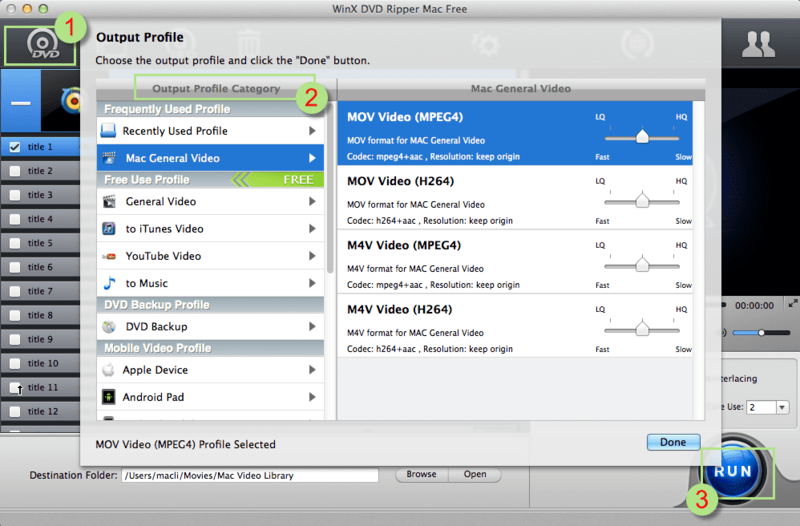 >> Upgrade to WinX DVD Ripper for Mac to rip Disney DVDs on Mac. With this tool, user can free rip regular homemade DVD, above-mentioned copy protected DVDs and commercial movie DVDs, for example the newly released The Hobbit: The Battle of the Five Armies, Into the Woods, Addicted, Nightcrawler, Big Hero 6, Birdman, The Theory of Everything, The Interview, Night at the Museum 3: Secret of the Tomb, to MP4, MOV, M4V, MPEG, H.264, MKV or other formats, iPhone/iPad/iPod/Apple TV/Android/Windows/Sony and so on devices and stream DVD movie to iTunes or other Mac media player on Mac OS X 10.11. Moreover, extracting audio from DVD as MP3, AAC, WAV, iPhone ringtone can also be finished without hassle. Windows 10 has be fully released since late July, and Apple has introduced its next computer OS - Mac OS X 10.11 El Capitan at its annually held Worldwide Developers Conference to us on June 8. Therefore, we gathered some features that OS X 10.11 extents. Release date: unveiled at WWDC 2015 and be available in the fall of 2015 - September 30. 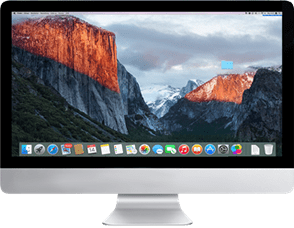 Feature Wish list: toned-down OS interface, improved Safari interface, Wi-fi improvement, use of Siri (voice control) on Mac, more social apps on Mac App Store, better searching function in App Store, predictive text like QuickType. How to Use the Best Free OS X 10.11/12 DVD Ripper? Click "DVD (disc)" icon on the top toolbar to analyze and load DVD content to ripper and it often takes just a few seconds. Alternatively, DVD folder and ISO Image file are both available to input and rip. When the source DVD content is completely loaded with the right title chosen by default, an output profile list box will pop up where you can select a media format or a certain device as you prefer. What's worth to mention is that the profile categories are classified clearly and a "Recently Used Profile" is custom-made for you to record the ripping history. Click "Browse" to target the destination folder (externally connected USB disk selectable) and then hit "RUN" button to have the ripper free rip DVD on Mac OS X 10.11 El Capitan. * Trim movie video by setting the start/end time, croppint video to define the desired frame area. * Adjust video/audio parameters, like choosing audio channel, changing aspect ratio for certain devices like iPhone, iPad. WinX DVD Ripper Platinum for Mac, No.1 fast DVD ripping software to help you circumvent Disney X-project etc. the latest copy protection mechanisms, convert any movie DVD to MP4, AVI, MOV, M4V, MKV (only for Mac version), MPEG, H.264 etc. 320+ output formats, delivering 3-5x faster ripping speed than general DVD rippers in the market. Free download the trial version to have a try now!! !